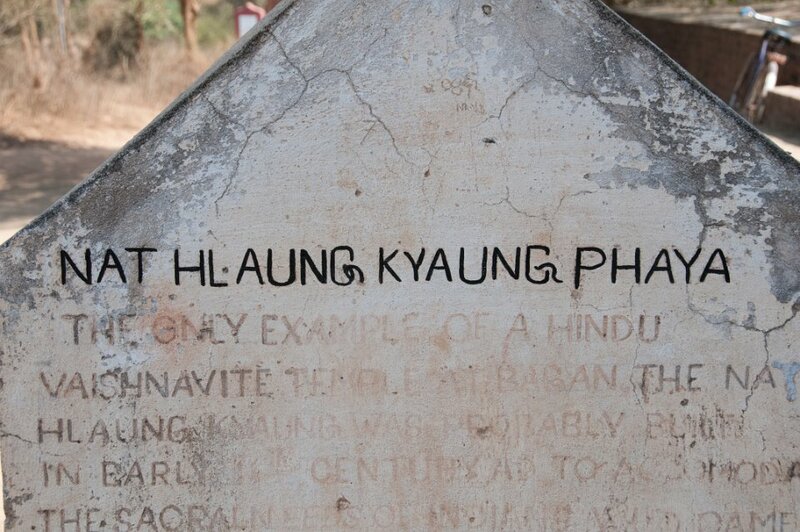 Nathlaung Kyaung means 'Shrine Confining Nats or Spirits', a reference to a purported time when King Anawratha tried to banish Nat worship in Bagan. He is said to have confiscated all non-Buddhist religious images including indigenous Myanmar nats and Hindu devas. 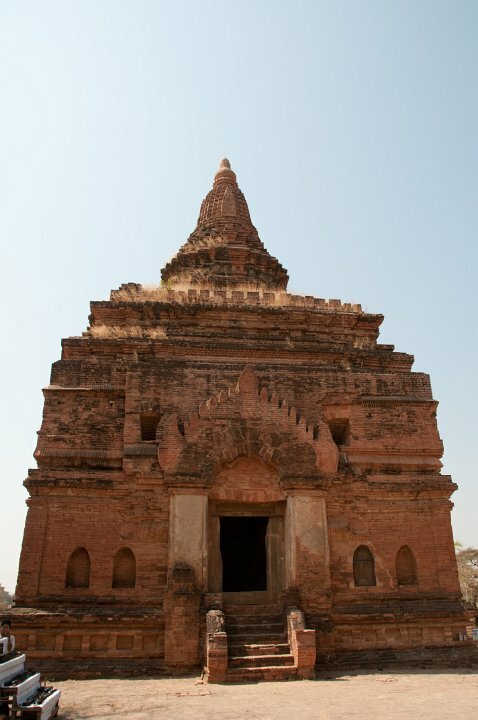 Then he ordered to have placed them in this shrine as part of an effort to establish 'pure' Theravada Buddhism during his reign. The king eventually gave in to the cult and standardized the current roster of principal Burmese Nats by placing 37 chosen images at Shwezigon Pagoda.